A lot can be said about a person by what their hobbies are. Not too long ago, having a geeky hobby like collecting comic books, playing with action figures or buying trading cards could get you picked on and bullied by your peers. Now, the tide has changed. Geeks have slowly inherited the earth and collecting pop culture is all the rage. 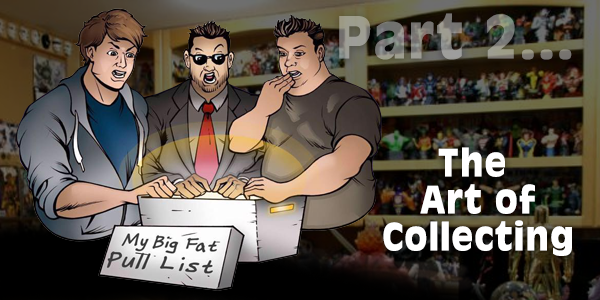 During this second part of a two part episode, the Original Geeks continue their discussion on the pop culture stuffs they enjoy spending their hard earned cash on during The Art Of Collecting Part 2! Rate this Podcast on iTunes! The ultimate success for every podcaster – is FEEDBACK! Be sure to take just a few minutes to tell the hosts of this podcast what YOU think over at iTunes! It takes only a few minutes but helps the hosts of this program pave the way to future greatness! Not an iTunes user? No problem! Be sure to check out any of the other many growing podcast directories online to find this and many other podcasts on The 2GuysTalking Podcast Network! — None in this Episode! — Do YOU collect statues or mini busts of your favorite characters? We Want To Know! — What type of comic book art do YOU have hanging up? Tell us now! — Did YOU get caught up in the superhero trading card craze? Share YOUR Thoughts With Us! Be an Advertiser/Sponsor for This Program! Tell us what you think! It’s never too late to be an advertiser in this podcast, thanks to Perpetual Advertising! Contact us now and learn more about why podcasting allows your advertising dollar to live across millions of future listeners – FOREVER! Blessed with an overactive imagination, Nick spent his early years absorbing as much pop culture as possible. From comic books to television, films, sci-fi, fantasy, horror – if it was great storytelling, he assimilated it! His fascination with the Teenage Mutant Ninja Turtles and Marvel Comics X-Men drove him to become an avid reader of all literature and a devoted comic collector at the age of eleven! Even though Nick enjoyed most comic book related material, his deep passion for all things “mutant” led to his alter ego being formed, the Uncanny Mister X! In recent years, Nick has co-founded his own comic book company, Archlight Comics, a film company, Archlight Studios, and has become a skilled podcaster and podcast editor. 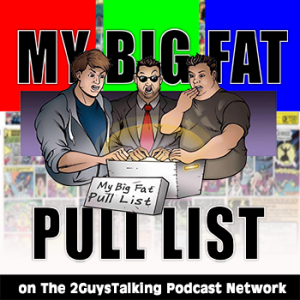 Mister X has taken all of Nick’s talents and found an outlet for his mad ramblings… the My Big Fat Pull List podcast! Just a common man, working hard with his hands, Jacob Petri has always had an eclectic taste in the world of pop culture. As a child, Jacob read comics, watched Saturday morning cartoons, enjoyed televised sports entertainment, played video games and collected trading cards and action figures. As an adult, he took his love of over the top theatrics and parlayed that into a mediocre Pro-Wrestling career, as he believed Pro-Wrestling was the closest he could get to live action comic books. 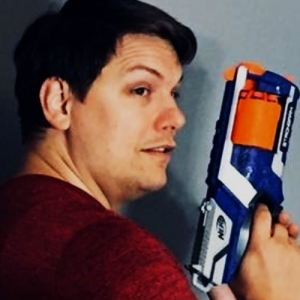 As Pistol Danger, he’s used his knowledge and skill both in the ring and on the internet, navigating video games during Let’s Plays and dishing out advice about the wrestling business. 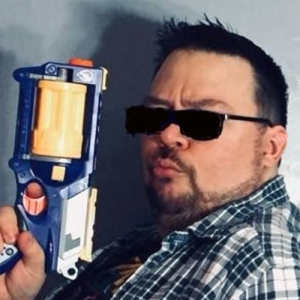 Needing to conquer new forms of entertainment, Pistol Danger has turned to podcasting, hoping to educate people on the finer points of geek culture, from comic books to films and everything in between. Born with the ambition to one day be a professional football player and then join the military, Sean Murphy was always drawn towards hero based cartoons such as G.I. Joe and the X-Men. Sadly, those dreams were crushed after a terrible accident while playing street football. Sean learned that he was born with missing bones in his feet and his doctors informed him that he wouldn’t be able to play pro football let alone join the military. Missing out on being the hero he wanted to be, Sean turned towards the heroes he knew and loved… comic book superheroes! As his teenage years turned to adulthood, Sean found a deep love for pop culture. Taking part in role-playing games, cosplaying as his favorite characters at conventions, Sean even worked at a comic book shop for over a decade. 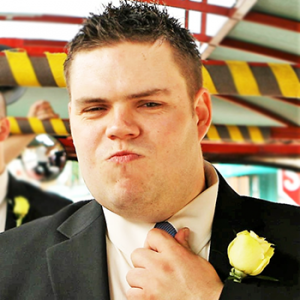 His need to absorb geek culture and fun facts earned him the nickname Smurphy. 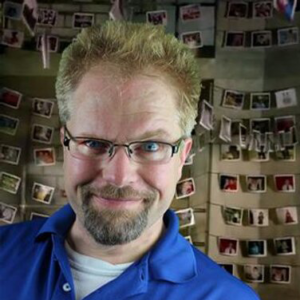 A fun-loving and sometimes socially clueless podcaster, Smurphy is eager to pass on all he knows and then some.